While we often hear and read about police brutality, housing and employment discrimination, there is simply inadequate media coverage of an equally destructive form of racism….environmental racism. The pollution of air, land and water are all environmental injustices that often shorten the life expectancy of Black people. This lack of attention to environmental racism has social and economic consequences. One of the biggest tragedies of the Jim Crow era was the decision by federal, state and local governments to place highways directly through the middle of many black neighborhoods in the U.S. Not only did this decision reduce property values, and destroy many communities, Black residents that currently live near expressways have higher rates of asthma and other respiratory illnesses. Seniors and kids inhaling fumes from the tens of thousands of cars that pass by their home and many idling on the expressway is a fixable problem that requires advocacy from Black civic, faith, business, and political leaders. It is not a surprise that there are so many Black kids having asthma attacks and black seniors on respiratory machines. Equally important, factories and warehouses that pollute the air are more likely to be located in or near Black neighborhoods. Whether it’s high crime or violence, sub-standard sidewalks, abandoned lots and eye-sore properties, inadequately lined-cross-walks, scarce handicapped access ramps at street corners for wheel chairs or strollers, such environmental barriers shorten the lives of Black residents. Too often, black kids can’t play in the parks or ride their bikes in their neighborhoods which leads them to have fewer opportunities to burn off youthful energy and calories. In some predominantly black neighborhoods kids walk in the street because of crumbling sidewalks. The investment by local governments in curbs, sidewalks, street markings, street-lighting, play a direct role in whether Black residents from kids to seniors will walk to the store, library, church, school, or to the subway. This lack of walkability contributes to higher rates of obesity, diabetes and other illnesses in Black neighborhoods. In the 1980s and 1990s there was more public outrage over lead in the homes. It is not that the problem of lead paint has gone away in the U.S., the persons most likely to suffer from lead-poising are low-income black children. The effects of lead-poisoning contribute to learning deficiencies and disruptive behavior for Black children. According to the Environmental Protection Agencies the black neighborhoods twice as likely to live in homes with lead contamination. Making matters worse, very little funding goes to Black led or run organizations to educate parents and communities to help prevent this problem. In the 2016 Presidential Election, the national media focused on the contamination of the water in Flint, Michigan, a city with a population of over 90,000 people. Most people did not pay attention to a report by Reuters that same year which noted over 3,000 communities have lead contamination levels in their water higher than in Flint. There is simply not enough focus on water quality in Black neighborhoods. The health effects of water pollution on children and seniors is quite severe according to reports from State Health Departments and the U.S. Centers for Disease Control. Environmental racism is not a myth, it’s a reality that requires our attention because it is truly a silent killer in many Black neighborhoods. 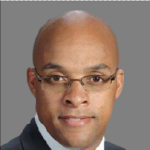 Antoine M. Thompson, is a columnist, and partner with Creative PMO Solutions. He is also the National Executive Director for the National Association of Real Estate Brokers (NAREB) and New York State Senator (2007-2010). Brookfield, WI (April 18, 2019) From playful game songs to ecstatic shouts, from heartbreaking spirituals to delicate lullabies, the Charleston-based quintet Ranky Tanky will perform the timeless music of Gullah culture for audiences at the Sharon Lynne Wilson Center for the Arts (Wilson Center) Friday, May 17, 2019, at 8:00 p.m.
purchased online at www.wilson-center.com, via phone at 262-781-9520, or in person at the Wilson Center Box Office at 19805 W. Capitol Drive in Brookfield’s Mitchell Park. Parking at the Wilson Center is free. 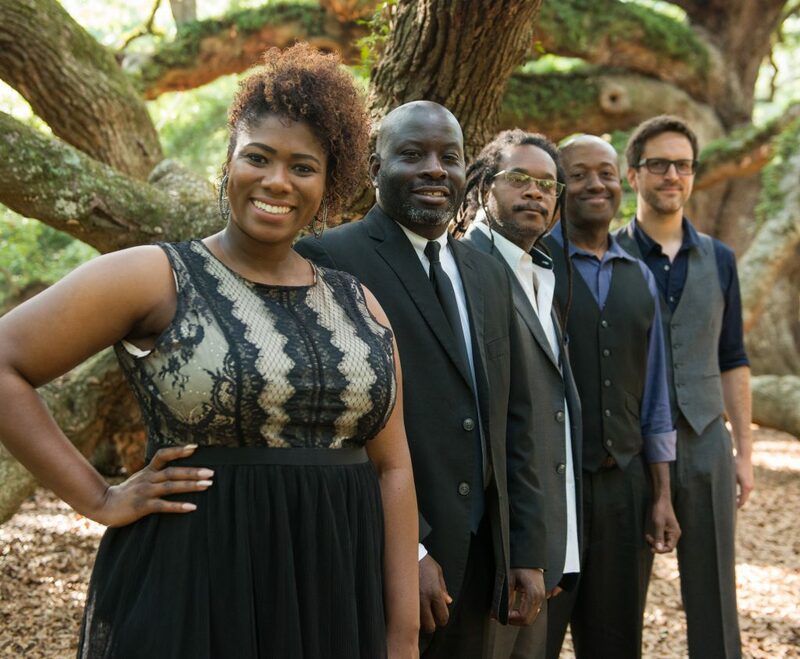 Their debut album Ranky Tanky features 13 arrangements of Gullah folk songs, with lyrics and melodies ranging fromtraditional spirituals to children’s rhymes to dance music. In a 2017 interview with NPR, Ross credited 20th century American gospel and folk singer Bessie Jones as laying much of the groundwork for the band due to her extensive recording and documentation of the songs and rhymes later used in Ranky Tanky. In addition to the public Wilson Center concert, Ranky Tanky will be giving two back-to-back performances for studentsat Milwaukee charter school Capitol West Academy on the morning of May 17. As part of the Wilson Center’s ArtsReach program, both performances will celebrate a weeklong visual arts residency taking place at the school in partnership with the Wilson Center and Ghanaian painter Francis Annan Affotey. Throughout the week, approximately 15 students will work with Affotey to create artwork inspired by Gullah music, with the project to be unveiled at the performance. For more information on the arts education outreach sessions/performances, contact [email protected] or 262-373-5037. Ranky Tanky is presented as part of the Wilson Center’s 2018/2019 Performing Arts Series, which is made possible by Enterforce, Godfrey & Kahn S.C., and Krause Funeral Homes & Cremation Services. Arts education outreach with Cynthia Sayer is made possible by Wilson Center Residency Sponsor Herzfeld Foundation, and this project is supported in part by an award from the National Endowment for the Arts. The Wilson Center is grateful for the support of Show Media Partner 88Nine Radio Milwaukee. As a multidisciplinary nonprofit cultural arts facility with a 17-year history of excellence, it is the mission of the Sharon Lynne Wilson Center for the Arts to serve as a catalyst for lifelong discovery and exploration of the arts. Situated in Brookfield’s beautiful Mitchell Park, the Wilson Center is recognized as a cultural anchor in the Greater Milwaukee community and focuses on three main disciplines: performing arts, arts education, and visual arts. Since opening in 2002, the Wilson Center has continued to celebrate its five core values of excellence, innovation, passion, stewardship and collaboration through a diverse array of premier performances, educational programs, classes, festivals and special events. The Wilson Center annually welcomes more than 45,000 people, including more than 10,000 students every year—many of whom are being introduced to the arts for the first time. Through arts education programs such as Beyond the Classroom, ArtsReach, and Arts Camp: The Art of Nature, as well as year-round visual art classes and exhibitions, the Wilson Center promotes lifelong learning for children, teens, families, and adults. For more information, visit www.wilson-center.com. December of that year, the group had been profiled on NPR’s Fresh Air with Terry Gross and their album soared to the #1 position on the Billboard, iTunes, and Amazon Jazz Charts. KEVIN HAMILTON (BASS) is a celebrated artist in Charleston’s vibrant jazz scene. He has performed internationally with diverse ensembles such as The Charleston Jazz Orchestra, Houston Person, Gregory Hines, and René Marie. KevinHamilton joined the U.S. Department of State’s OneBeat program in 2012 and holds a degree in music theory and composition from the College of Charleston. So read part of a statement by Milwaukee Public Schools regarding the federal charges against former MPS Board member and president Michael Bonds for his role in a bribery scheme that also involved two executives of Universal Companies, a non-profit education and real estate organization. According to Bonds lawyer, the former school board director will plead guilty of bribery and conspiracy charges. Universal Companies is a 25-year-old Philadelphia-based entity founded by legendary Philadelphia music producer Kenny Gamble. Gamble, who gained fame with partner Leon Huff in the 1970s for developing the distinctive “Sound of Philadelphia,” was not implicated in the filing and has not been accused of wrongdoing. One of Universal’s top executives, former Universal CEO Rahim Islam, oversaw two charter schools in Milwaukee: the former Green Bay Avenue School and former Webster Middle School. Both school buildings had been vacant before Universal got MPS board approval to open independently-operated schools in the facilities. A third school was added later, the former Lee School. While in the city, Islam was active in the Black community. Not only was he running two schools, he was also a contributing columnist for a time at the Milwaukee Community Journal. He also had a radio talk show on WNOV 860AM. According to Philadelphia news reports, Islam is one of the main figures in the bribery scheme. The other Universal official allegedly involved is Shahied Dawan, who was reportedly relieved of his CFO and acting CEO position by Universal a few days after the news of the charges against Bonds broke. 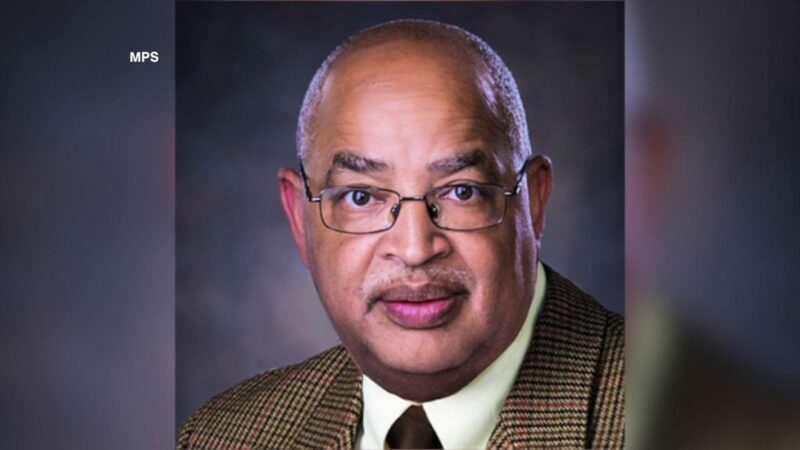 In an interview, outgoing school board director Wendell Harris said it was unfortunate to see his former colleague in the situation he’s in, recalling Bonds’ contributions to education in the district’s schools. Harris, who lost his reelection bid for the board in the April 2 elections, said he has no idea what led Bonds to do what he did. But Harris stressed, it shouldn’t overshadow his efforts to improve the quality of education for Milwaukee school children. According to news reports, the two former Universal officers allegedly paid kickbacks (to Bonds) to secure benefits for their charter school operations in Milwaukee, which was abandoned by Islam and Universal in 2017 in the middle of the school year. Court documents indicate Bonds received payments shortly after supporting favorable measures for Universal- totaling at least $6,000. He’s accused of ignoring financial issues in support of the company. Bonds reportedly disguised the bribes with a fake company and created fake invoices and records. Bonds faces up to 10 years in prison if convicted and up to $518,000 in fines. After backing out of its Milwaukee schools, Universal Academy was supposed to pay the district back about $1 million. Despite months of asking, the district reportedly hasn’t received any payments from the company. Milwaukee, Thursday, April 18th, 2019— Today, Walnut Way Conservation Corp., a neighborhood-based nonprofit known for its innovative work in economic and environmental health and wellness, and the City of Milwaukee’s Environmental Collaboration Office, hosted a ribbon cutting at Fondy Market to celebrate the completion of green infrastructure and clean energy projects in the Lindsay Heights Neighborhood, as well as the city’s first Eco Tour designation. “Environmental stewardship and climate resilience are critical to the overall revitalization of the Lindsay Heights neighborhood, and mitigating the effects of poverty and disinvestment from the ground up. Walnut Way is honored to help drive this important work through our social enterprise, Blue Skies Landscaping, and many cross-sector partners locally and nationally. In this regard, we hope Lindsay Heights can be a model for the City of Milwaukee,” said Antonio Butts, Executive Director of Walnut Way. In 2017, Walnut Way Conservation Corp. and the Lindsay Heights neighborhood were selected by the Institute for Sustainable Communities (ISC), based in Montpelier, Vermont, for a highly competitive national initiative to support community-based climate resilience. The neighborhood was one of two communities nationally to receive ISC’s Partnership for Resilient Communities (The Partnership) award. The Partnership provided technical resources, access to a large national network of sustainability experts and peers, and provided $150,000 for Walnut Way to expand its work on climate resilience, specifically regarding energy and water. “The Institute for Sustainable Communities is excited to partner with Walnut Way to support the realization of these valuable community assets. Every community deserves to have assets that promote health, safety, economic opportunity and that help make for a fun place to live. 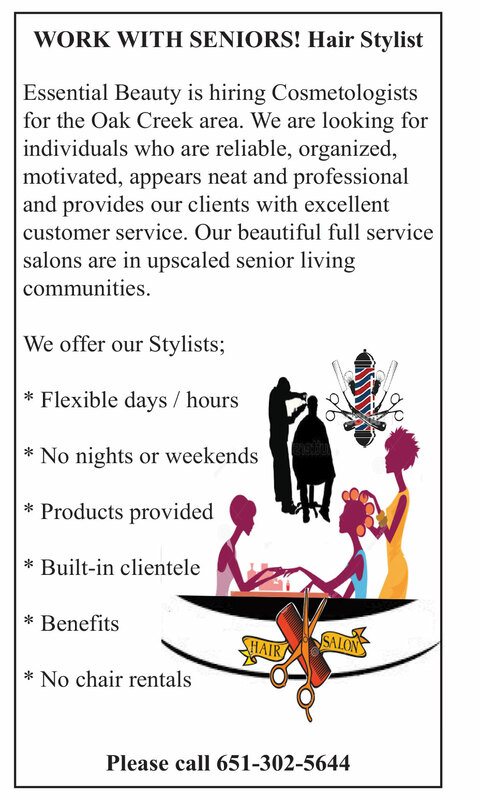 ISC is committed to supporting communities that are often overlooked when it comes to these types of investments. We tremendously value our partnership with Walnut Way and applaud their hard work and dedication. 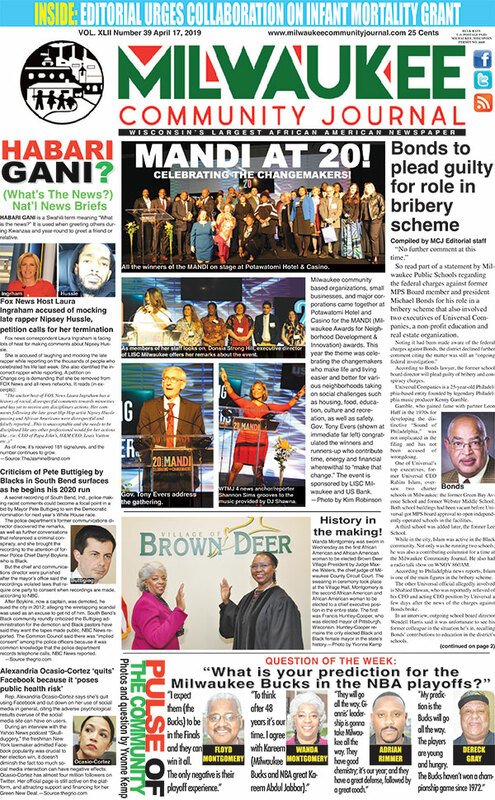 Congratulations!” said Sarita Turner, Director for Inclusive Communities at the Institute for Sustainable Communities. The initiative mobilized Walnut Way’s social enterprise, Blue Skies Landscaping, to complete the green infrastructure projects at Fondy Park, Greater Galilee Missionary Baptist Church, and Alice’s Garden rainwater harvesting project. The projects capture and divert storm water from the sewer system to be used as a resource rather than redirected as waste. Blue Skies Landscaping provides job training in landscape horticulture and infrastructure for individuals who have traditionally faced employment barriers. 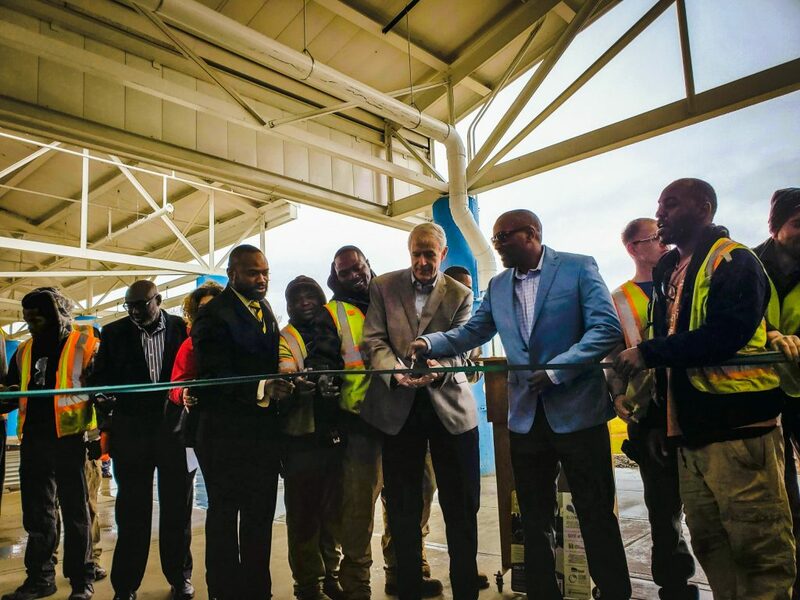 Additionally, with the support of the City of Milwaukee’s Milwaukee Shines program, Walnut Way and its partners contracted with Arch Electric and Mindful Staffing Solutions to install photovoltaic solar systems at four neighborhood sites. These systems convert sunlight to electricity; the systems at three sites lowers billed electricity, and at Alice’s Garden, the system provides off-grid stored power. Solar systems were installed at Walnut Way, 2240 N. 17th Street; the Innovations and Wellness Commons, 1617 W Fond du Lac Avenue; Fondy Farmers Market, 2200 W. Fond du Lac Avenue; and Alice’s Garden, 2136 N. 21st Street. “These solar panels prove that renewable electricity is truly universal. Walnut Way and Alice’s Garden are not only taking the initiative to be more self-sufficient, but more importantly, they’re improving the health of the entire community by cutting carbon emissions, reducing stormwater runoff into lakes and streams, and growing nutritious food right in their own neighborhood,” said Sam Dunaiski, Program Manager for Renew Wisconsin/Solar for Good who provided additional funding for the solar projects. The Partnership also helped Walnut Way collaborate with the City of Milwaukee’s Environmental Collaboration Office to certify Lindsay Heights as the first ECO neighborhood and Eco Tour destination in Milwaukee. The Eco Tour route highlights the significant environmental interventions in the neighborhood through signage. Many additional partners helped bring these projects to fruition, including Arch Electric, the Fund for Lake Michigan, GZA Engineering, Mindful Staffing Solutions, ReFlo, Milwaukee JobsWork, Milwaukee Metropolitan Sewerage District (MMSD), Rivet LLC, Rozga Plumbing & Heating Corp., Social Development Corporation, Solar for Good, MorganDezine, and the Wally Schmidt Redevelopment. 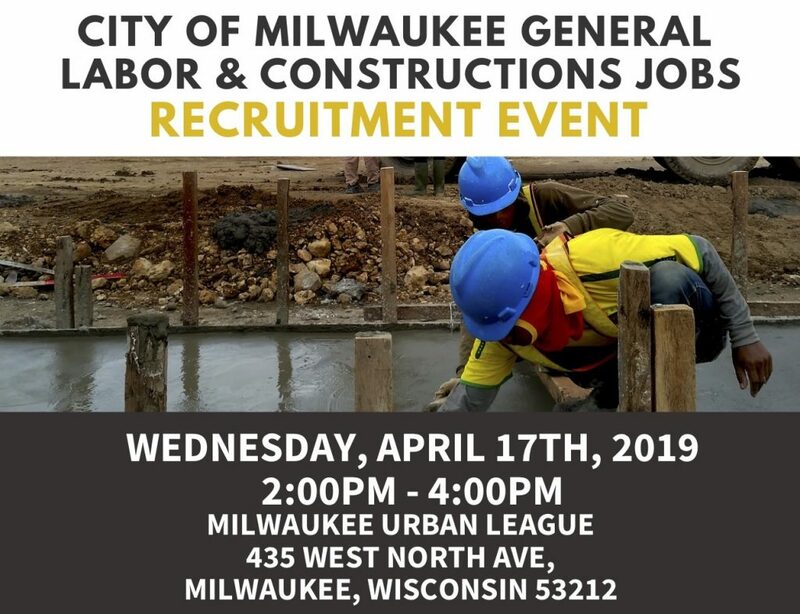 WHAT: Learn more about the general labor and construction job opportunities with the City of Milwaukee at this recruitment event sponsored by UMOS, the Wisconsin Department of Children & Families, Alderwoman Milele A. Coggs, the Milwaukee Urban League, the City of Milwaukee Community Development Grants Administration, the City of Milwaukee Department of Public Works, and Compete Milwaukee. 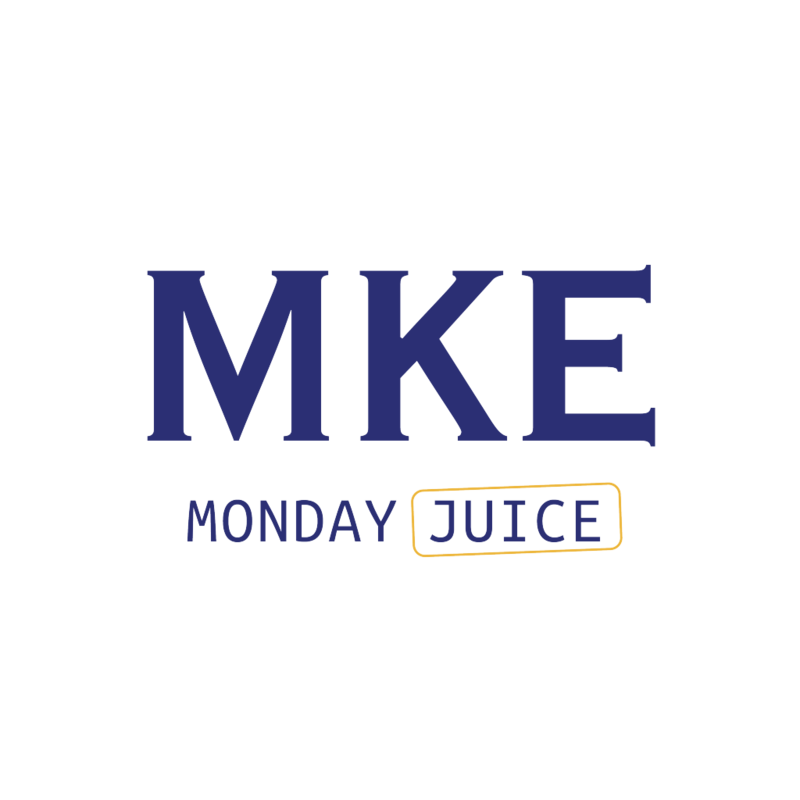 WHEN: Wednesday, April 17 – 2:00-4:00 p.m.
WHERE: Milwaukee Urban League, 435 W. North Ave.
unemployed for four (4) weeks. Jobs pay $11.32/hour for 40 hours per week. These jobs may lead to permanent employment with the city. Former offenders are welcome to attend. Enhance our understanding of the various agencies and processes involved after a sexual assault. Identify key research to guide change in the systemic response to sexual assault. Have a dialogue that promotes ongoing quality of care for individuals affected by sexual assault. Strategize approaches for collaboration between agencies to provide support and advocacy for individuals affected by sexual assault and their families. Sameena Mulla, PhD, associate professor of anthropology at Marquette University. Mulla won the 2017 Margaret Mead Award from the American Anthropology Association and the Society for Applied Anthropology for her work on sexual assault intervention in the United States. Laci Oyler, MA, LPC, counselor at Alverno College. Oyler previously worked at The Women’s Center and as a crisis counselor at the Sexual Assault Treatment Center where she provided advocacy to child and adult survivors of sexual assault and abuse. Michelle Zapinski, certified psychiatric mental health nurse practitioner at Aurora Behavioral Health Center. She is a trained sexual assault nurse examiner treating both pediatric and adult survivors of sexual assault. Melinda Hughes, MEd, MBA, LPC, SAC, founding program director of the Healing Center and former chair of the Milwaukee Sexual Assault Response Team (SART). She currently teaches in Alverno College’s Community Psychology master’s program, and will moderate the discussion. The Alverno Forum series seeks to join community leaders in discussing cutting-edge topics that have a daily impact on the lives of people in our community and beyond. The next discussion in this year’s series takes place on Wednesday, April 24 at 6:00 p.m. in the Bucyrus Conference Center inside the Sister Joel Read Center. The Alverno Forum series is free and open to the public. For more details, please visit our website at http://www.alverno.edu/forum/. Alverno College promotes the academic, personal and professional development of its students in a collaborative and inclusive environment. Undergraduate programs for women are offered in more than 60 areas of study, and graduate programs in education, nursing, community psychology, school psychology, music therapy and business are open to women and men. A leader in higher education innovation, Alverno has earned international accolades for its highly effective ability-based, assessment-as-learning approach to education, which emphasizes hands-on experience and develops in-demand skills. The college, Wisconsin’s first Hispanic-Serving Institution, ranks among the top schools in the Midwest for its commitment to undergraduate teaching and innovation by U.S. News & World Report. For the past two years, The Wall Street Journal/Times Higher Education named Alverno the country’s most inspiring college. Based in Milwaukee, Wis., Alverno College is a four-year independent, Catholic, liberal arts college. 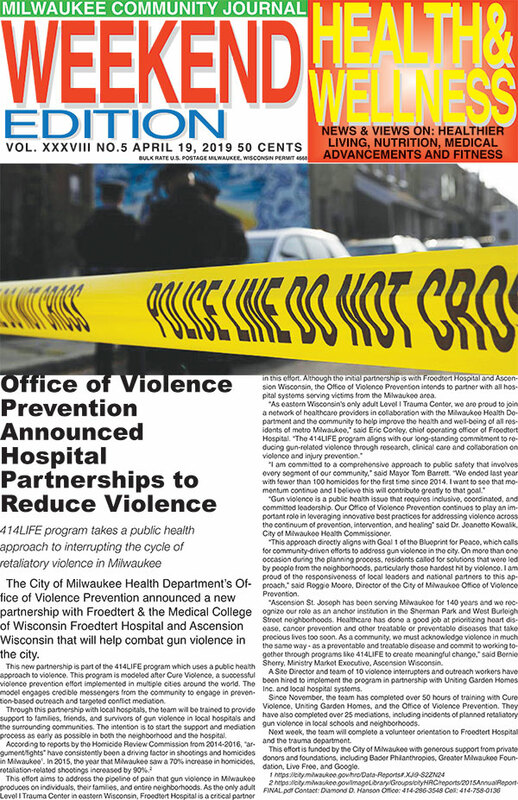 MILWAUKEE (April 12, 2019) – A coalition of Milwaukee organizations has been awarded a $5 million, five-year grant to implement a Milwaukee County Healthy Start Program that will support maternal-child health for African American women. 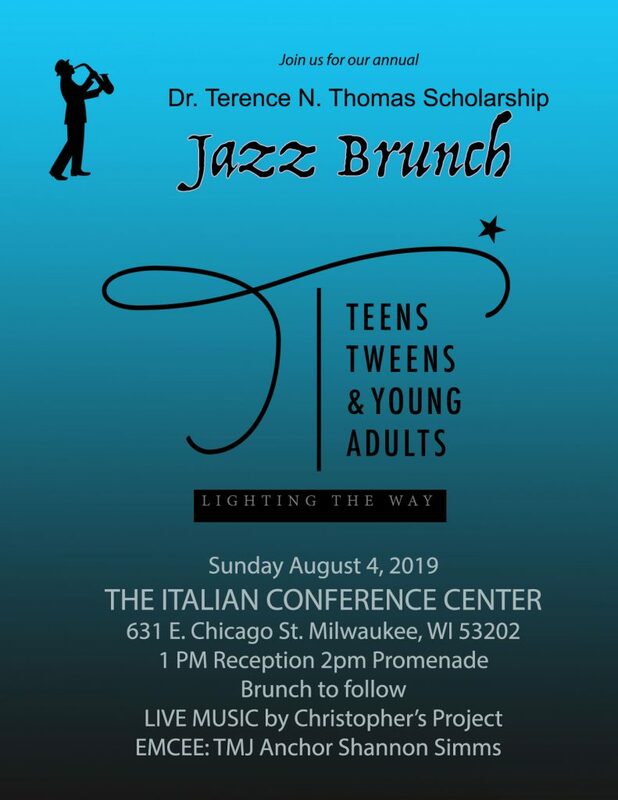 The coalition includes the City of Milwaukee Health Department, Children’s Hospital of Wisconsin Community Services, Black Child Development Institute-Milwaukee, Birth in Color Initiative, Easter Seals and other community stakeholders. According to the Milwaukee Health Department’s 2017 FIMR Report, black infants in Milwaukee are three times more likely to die before their first birthday than white infants in Milwaukee, one of the largest health disparities in the country. The city of Milwaukee has not received federal funds to address infant mortality for the past five years. The coalition’s latest grant application received a perfect score and Children’s Hospital of Wisconsin will be the fiscal agent for the grant. According to the Wisconsin Department of Health Services, in Milwaukee County, 7.9 percent of African American women received either no prenatal care or no third trimester care. The program will serve African American families, including 300 women prenatally, 300 infants and 100 fathers/partners annually. Ultimately, the program will work toward a reduction in infant mortality, improved birth outcomes, and improved maternal, child and family health. For more information on the City of Milwaukee Health Department, visit www.milwaukee.gov/health and for more information on Healthy Start, visit www.mchb.hrsa.gov/maternal-child-health-initiatives/healthy-start. This is an opportunity to connect, inspire and engage more residents in the work of revitalizing neighborhood assets, renewing the collective spirit and energy, and restoring the soul of the community. The showcase also will provide residents with the calendar of events for the year. 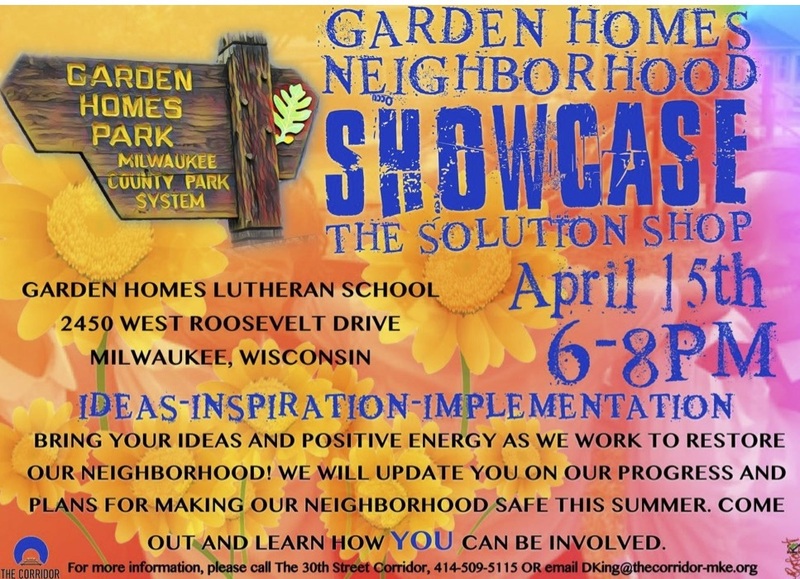 The showcase will include booths and stations with information for residents, families and partners of the Garden Homes Neighborhood Initiative. Participants are encouraged to visit each station to learn more about neighborhood strategies, successful work already completed, supportive programs to help residents, and information for families and resource providers. The showcase also will feature an “Ideas Wall”. Participants can add value to their experience by sharing their input. Neighbors will share a meal as a way of encouraging people to get to know each other individually and thereby creating community. WHEN: Monday, April 15 – 6:00-8:00 p.m. 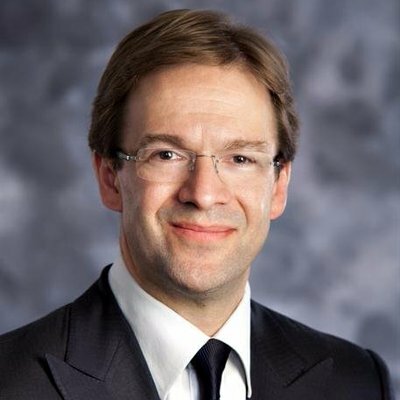 Following the lead from the Wisconsin Public Health Association, Milwaukee County Executive Chris Abele and County Board Vice Chairwoman Marcelia Nicholson, proclaim racism is a public health crisis, and are actively taking steps to achieve racial equity throughout Milwaukee County. During National Public Health Week, County Executive Abele and County Board Vice Chairwoman Nicholson proclaim that racism is a public health crisis in Milwaukee County. Following the lead of the Wisconsin Public Health Association, this important recognition is the first step that will help us deepen our ability to achieve racial equity in the community by building on the progress already underway at Milwaukee County. In 2016, the County Executive and County Board partnered to create the Office on African American Affairs to serve in an integral role, in recognizing and aiding in the resolution of Milwaukee County’s racial inequities for the benefit of all of its citizenry, and for the region to achieve its full potential. The Office on African American Affairs has made significant strides since its inception. For example, all Milwaukee County leaders have been trained on racial equity; with all 4,000 employees slated to be trained in 2019. A new racial equity ambassador program has been launched with nearly 60 employees – from leadership to front-line staff – participate in racial equity action planning for Milwaukee County. The County has been in the process of incorporating a racial equity lens into all its budget decisions. “We understand that Milwaukee’s racial inequities are historical, complex and interrelated. That’s why we need everyone at the table as we work to move the needle towards empowerment and employing good government strategies to tackle the comprehensive issues experienced by many African Americans in Milwaukee,” said Nicole Brookshire, Director of the Office on African American Affairs. More than a hundred studies have linked racism to worse health outcomes. In Wisconsin, the highest excess death rates exist for African Americans and Native Americans, at every stage in the life course. Our infant and maternal mortality rates for African Americans are among the highest in the nation. Milwaukee County is the largest county in Wisconsin that is working with the Government Alliance on Race and Equity (GARE), the national accrediting body as we begin our work to systematically address racial inequities. “It’s imperative that we do the work to heal Milwaukee’s racial wounds. We’ll be on the right side of history as we re-write the text for what it means to grow up as a Milwaukeean. We cannot rest until every citizen is treated with dignity and respect and this resolution is a step in that direction,” said County Board Vice Chairwoman Marcelia Nicholson. Alderman Ashanti Hamiltoninvites the community to join him THIS SATURDAY(April 13) during two “pop-up” clean ups to beautify two areas of the city. The firstof the two clean-ups will be at 10:00 a.m. at the corner of Teutonia and Capitol, partnering with the Rufus King Neighborhood Association, Rufus King High School, Program the Parks, Keep Greater Milwaukee Beautiful and Wisconsin Community Services to clean up that intersection. The secondclean-up will begin at 1:00 p.m. on the 5300 block of N. 35thSt. to clean up the Thurston Woods Neighborhood, in partnership with the Thurston Woods Block Watch, Keeping Greater Milwaukee Beautiful, Program the Parks, and Wisconsin Community Services. “After the winter thaw, neighborhoods across the City are living with the litter from an entire winter. However, neighbors can take control of their environment and that is what we are encouraging through our clean-ups this weekend. We invite residents to reach out to our office for assistance with planning a clean-up in your area so that beautification efforts can spread across Milwaukee,” Alderman Hamilton said. When: Saturday, April 13 – First clean-up at 10:00 a.m. Second clean-up at 1:00 p.m.
Second clean-up – The 5300 block of N. 35thSt.